Over the past few years intercoms have developed rapidly in technology. Gate Repair Services offers installation of and repairs to wireless GSM intercoms, plus the traditional hand set intercom and camera intercom phone systems. 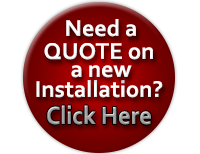 For an installation or repair Contact us. Calls directly to your cellphone or landline. Up to 10 000 programmable users. 2 x Relay outputs (For main and pedestrian gates). 2 x Digital inputs (To monitor power and gate status). High quality stainless steel enclosure (GRADE 316). Effortlessly manage a large number of access control users with our online Cloud 9.0 access control platform. Manage one access control list for multiple linked devices. If someone presses the programmed intercom button assigned to you, you will receive a call on you phone. Answer, and after you identified the person simply press ‘1’ on your phone to open Gate 1. Press ‘2’ on your phone to open Gate 2 (if applicable). Calls from the intercom to your number is charged to the sim in the intercom at standard network rates. Maximum call duration can also be set. Pressing button ‘9’ on your phone will also open Gate 1. Free welcome sms’es to new users – The message contains a unique web link that will give user specific information with a list of all the devices they are linked to, intercom buttons assigned to them and how to use them. 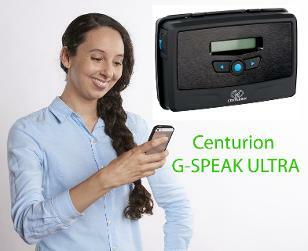 Centurion have recently launched the G-Speak Ultra intercom system onto the market. It combines both wireless GSM technology with CENTURION’s ULTRA interface, turning the user’s smart phone into the intercom handset. You need an access control security system if you have the kind of work and lifestyle that means you are always on the move and not home based. There are two apps you can use with Centurion’s ultra GSM (Global System for Mobile) devices, such as the G-SPEAK ULTRA, for access control to your property and home automation. Gate Repair Services is an access control system distributor. The first one is the G-REMOTE mobile app. This app turns your Smartphone into a remote control which activates your driveway gate, garage door or any other connected outputs such as lights, irrigation system and electric fence. The app has icons showing real time for example when the gate is open, closed, opening, closing, partly open or partly closed. It also shows if the motor battery is low or mains are disconnected. You can give any visitor access to your gate if you have their phone number and they download the app. With this feature you can time bar people, e.g. : for deliveries or contractors. You can also give someone access for specific times in the week, e.g. : for domestic help. The users that are subscribed for certain notifications will get them on the app, provided they have internet connection. Notifications include e.g. : the gate has been standing open for more than a preconfigured amount of time etc. You can configure automatic activation schedules i.e. you can make the gate or another home appliance trigger at specific times E.g. For a business you can get the gate to open during business hours without needing someone to trigger it. Another nice feature is that you can configure where the gate station button can go to during a specified time window. For example, during working hours it will call the secretary and after hours it will call the security guard, for instance. You can also set up a time window to disable the button so that during certain times your intercom will not phone anyone. Both the apps are free to download and use. From the Apple App Store or the Google Play Store. 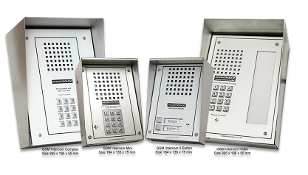 So if you have not got any GSM devices for your home providing access control security system, call Gate Repair Services for more details about access control systems and repair. For more information on intercoms click here .